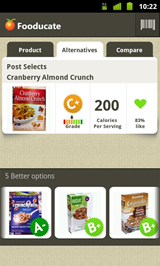 5 Know A Worthy New App? Let Us Know! 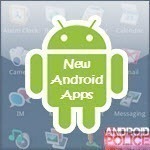 Welcome to the weekly roundup of the best new Android applications that went live in the Market or were spotted by us in the previous 2 weeks or so. 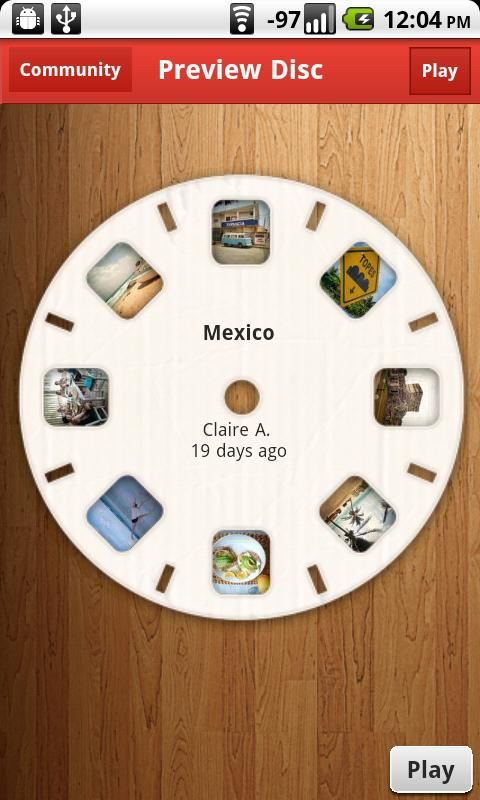 This is the 2nd part of this week's roundup and is dedicated to apps. 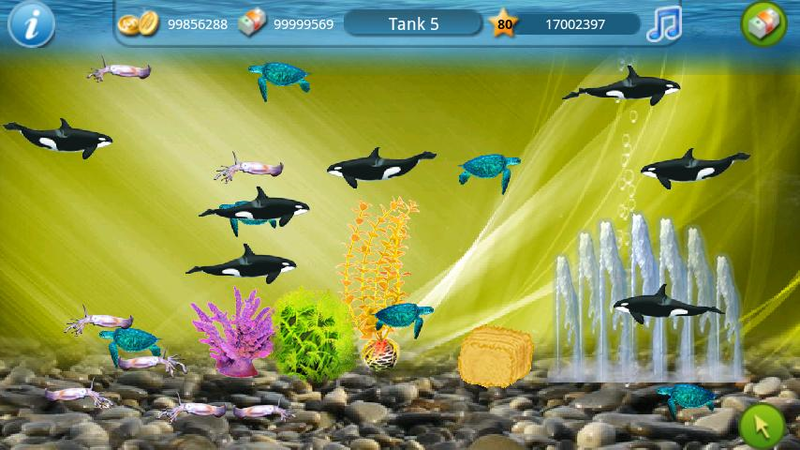 For games, see 32 Best New Android Games From The Last 2 Weeks (6/2/11 – 6/16/11). Dozens of backgrounds including Atlantis and Stonehenge FREE! 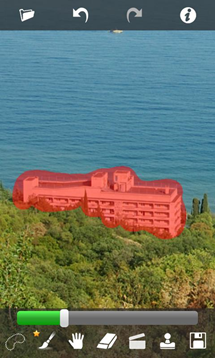 Hundreds of decorations and plants: sea reefs, caves, mermaids, sunken ship and castles! Whoa, whoa, whoa, look what just showed up, just in time to make it into today's roundup. 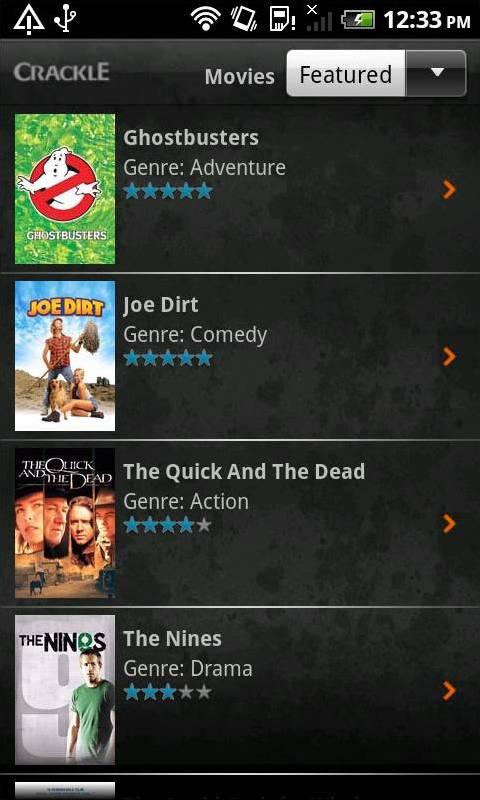 Full movies and TV shows streamed to your Android phone - check. 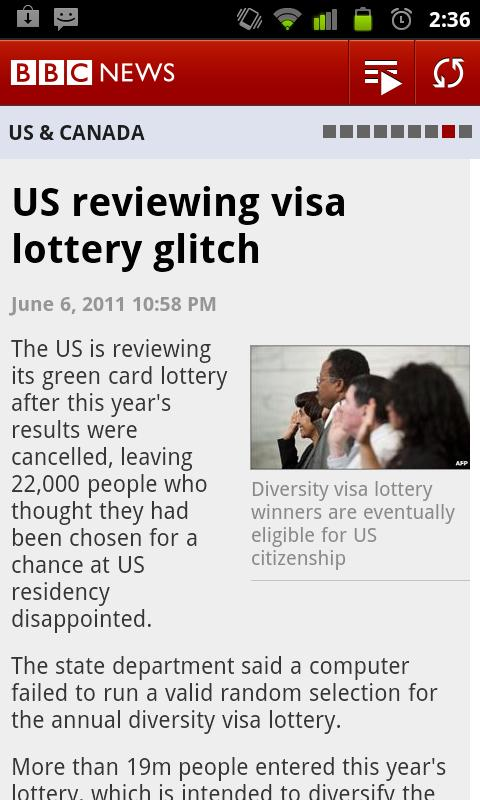 Free - check (ad supported). 5-star reviews all around - check. I think this might just be one of the best full movie/TV streaming apps on Android. All we need now is better selection of more recent movies. 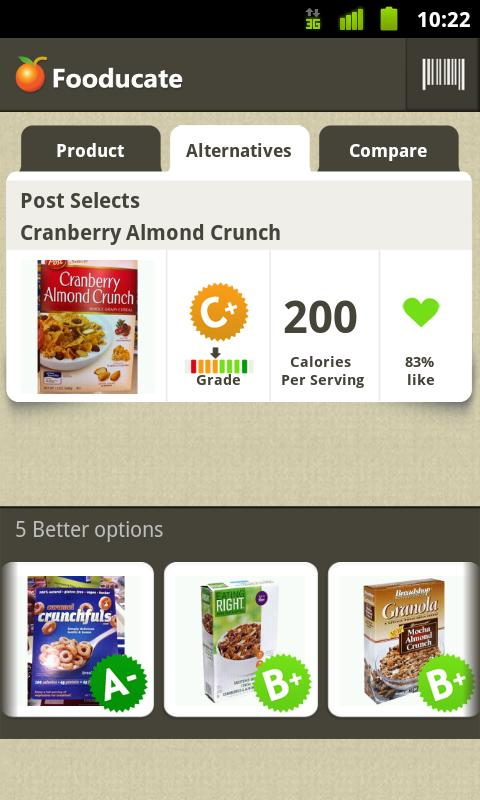 For a list of compatible phones, visit the app's description. P.S. 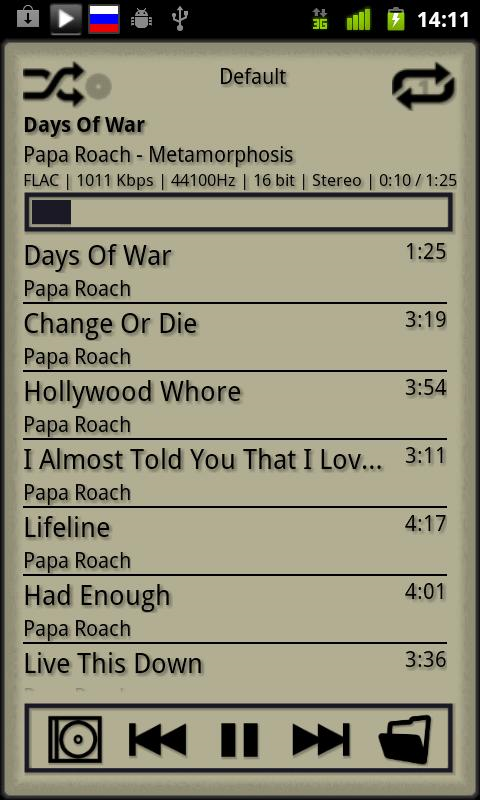 Looks like the app uses Flash for streaming, which seems to work surprisingly well. 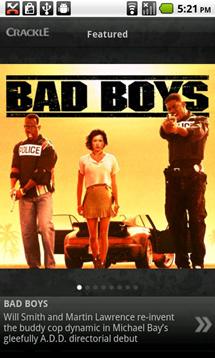 Watch full-length Hollywood movies & TV shows on your phone. Free and on demand. 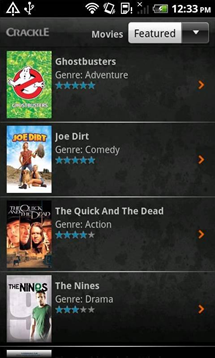 Watch FREE movies on your Android phone. 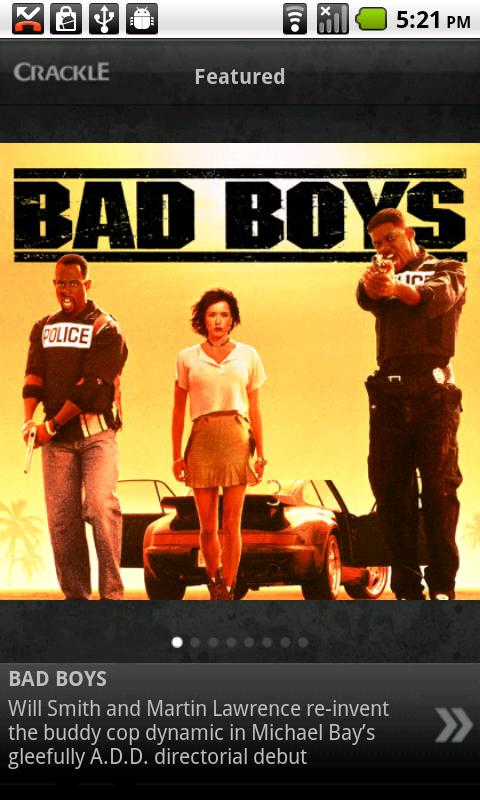 BAD BOYS. GRIDIRON GANG. GHOSTBUSTERS. JOE DIRT. THE PATRIOT and hundreds more: full-length, uncut and FREE. 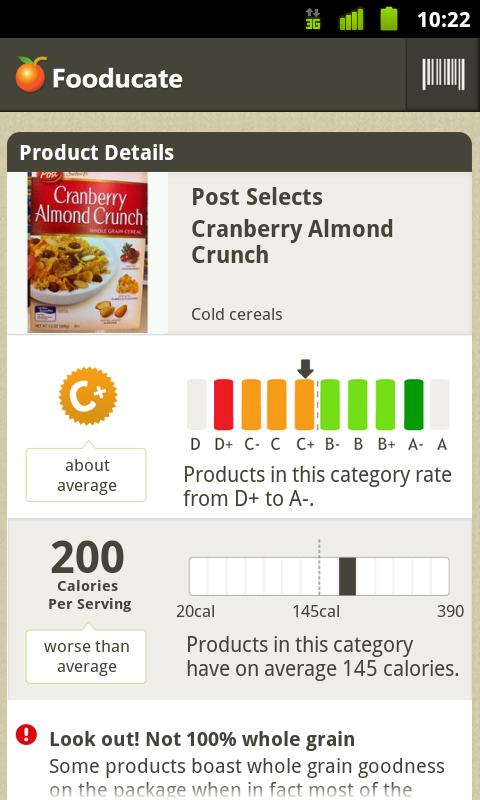 Plus, top rated TV series like SEINFELD. 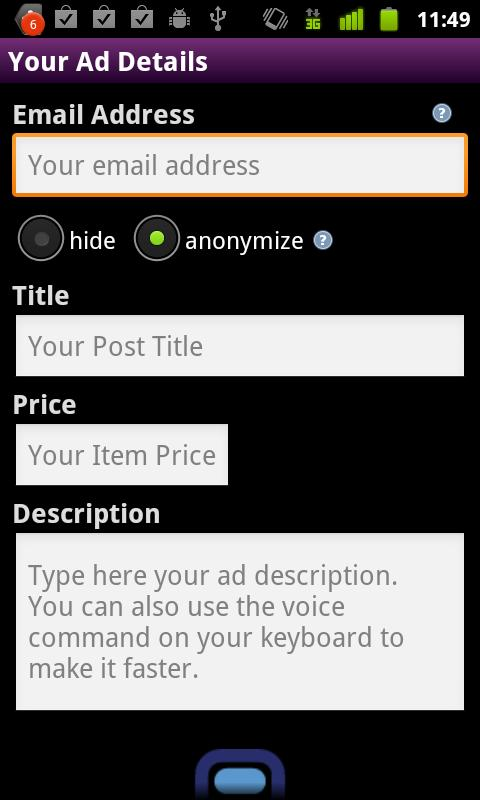 * Build and manage your queue for viewing on the app or online at Crackle.com. Crackle is one of the fastest growing digital entertainment networks, offering quality movies and TV series from Columbia Pictures, Tri-Star, Screen Gems, Sony Pictures Classics and more. Crackle is available via web, mobile, gaming systems and set-top boxes. For more information, visit www.crackle.com. Crackle is a division of Sony Pictures Entertainment. TouchRetouch is an award-winning photo editor that allows you to remove unwanted content or objects from any photo, using just your finger and your phone. 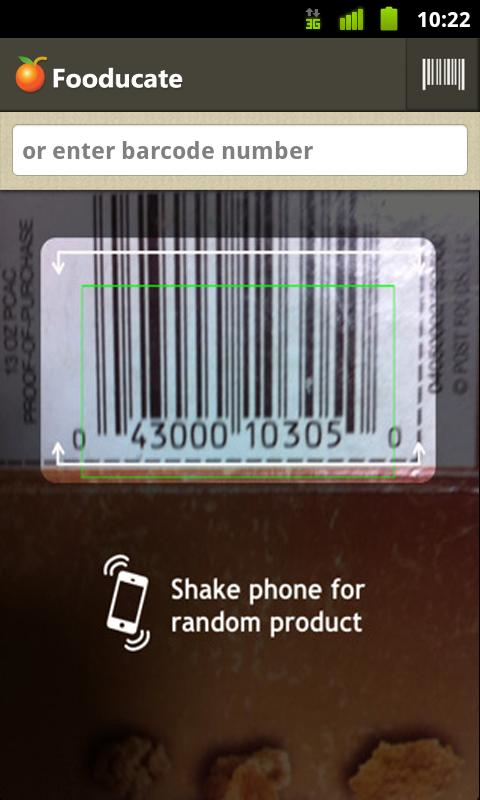 Mark the items you want taken out of the snapshot and hit ‘Go’. 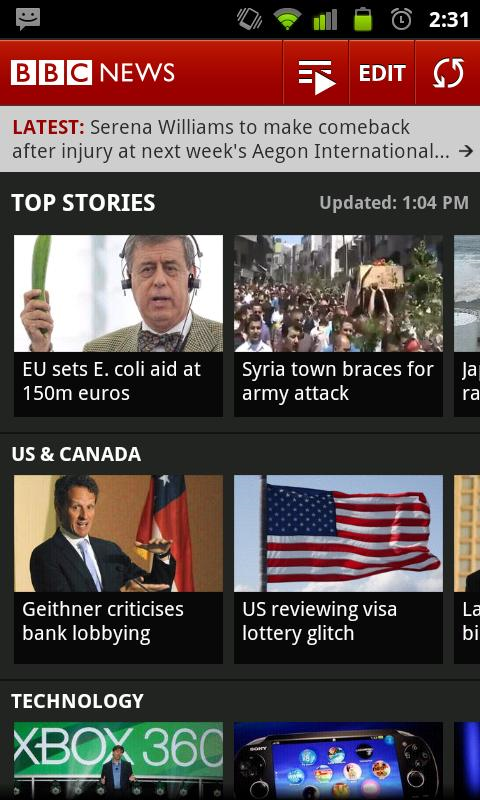 Finally, a BBC News that is available to readers outside the UK. 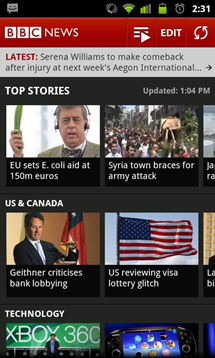 Get the latest world and regional news from the BBC’s global network of more than 2000 journalists. 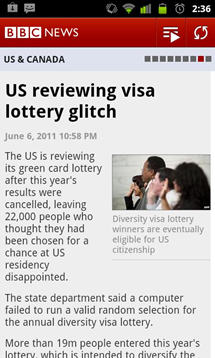 From breaking news, to business, politics, entertainment, technology, the arts and sport, all divided into clear sections, this free app lets you watch video reports, listen to live radio and read the latest updates wherever you are. *Available in all countries outside of the UK. AutomateIt PRO is here at last. It has all the goods that the free version has and it's an ad-free, popup-free version with some awesome new and advanced features. 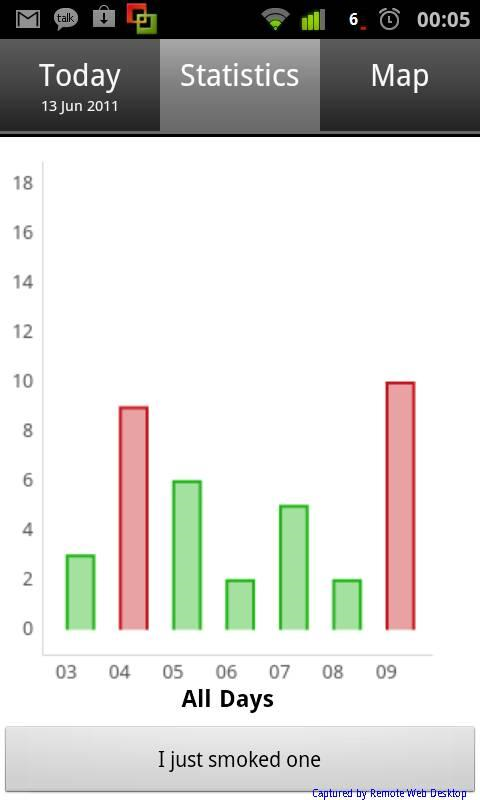 * Rule Active Period - set an active period for each rule. 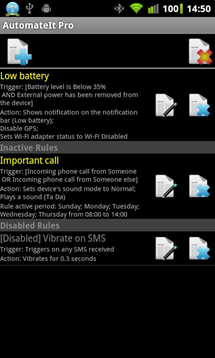 Really useful if you only want a certain rule to be active only during daytime, weekends, just an hour a day etc. 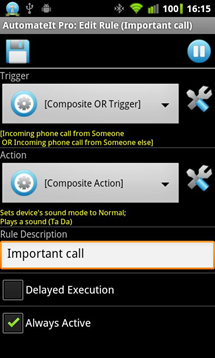 * Sensor Trigger - utilize all your device' sensors as a trigger for a desired action. 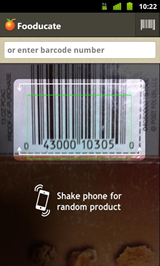 This includes usage of all the sensors supported by Android - Accelerometer, Light, Proximity etc. Protect any application (i.e. 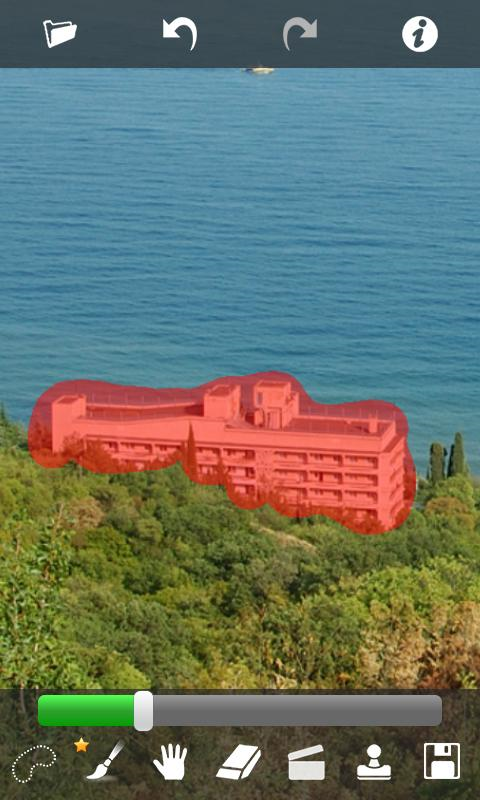 SMS, Gallery, E-Mail, Facebook, etc.) 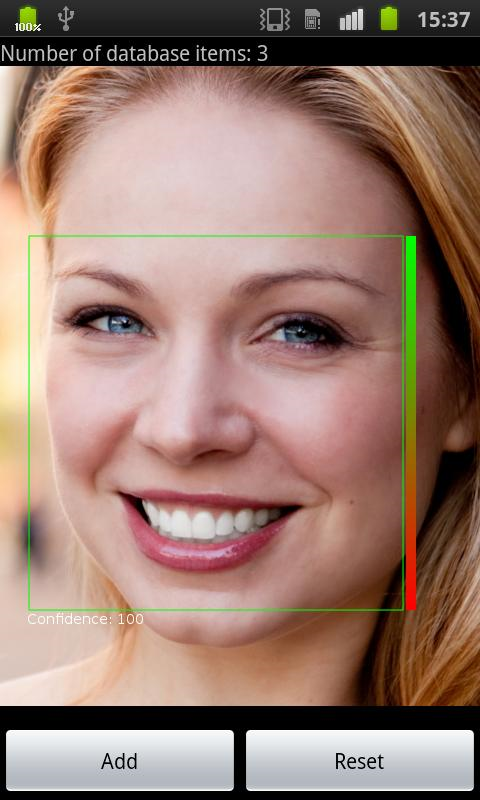 on your phone using face recognition. 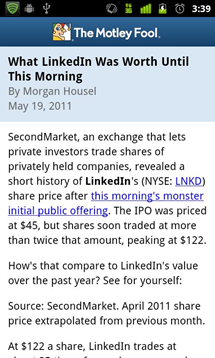 Convenient and cool way to increase safety of your private apps and content. 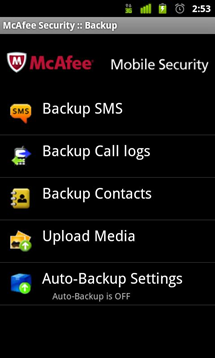 Visidon AppLock lets you choose the apps to be protected. Your face is a key to open them! Application uses the frontal camera of your mobile and verifies in real-time that the face matches the one allowed to access the private apps. 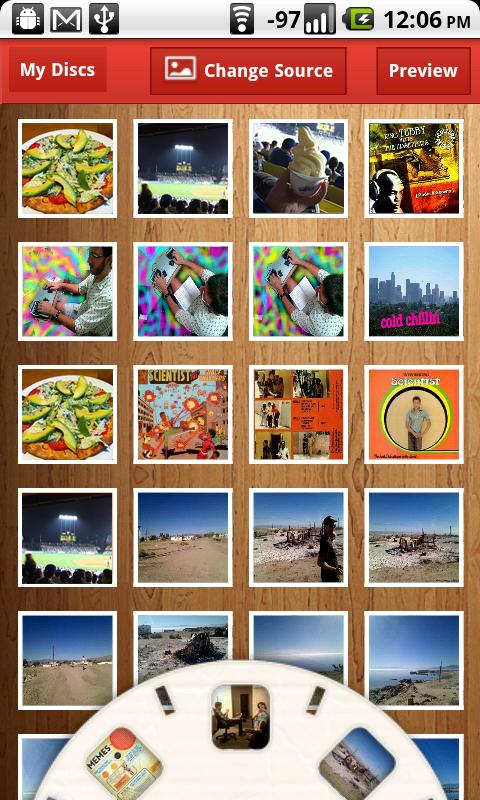 Lightbox Photos is pretty much the Instagram equivalent on Android. 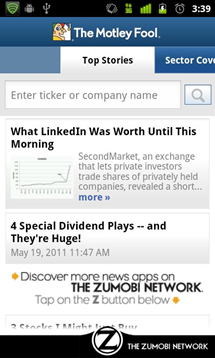 Some reviews: IntoMobile, ReadWriteWeb. 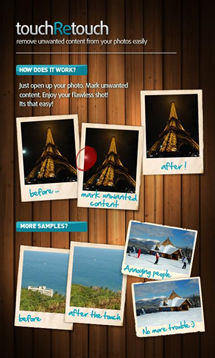 Connected Camera: Enhance your photos and quickly share them with your friends. 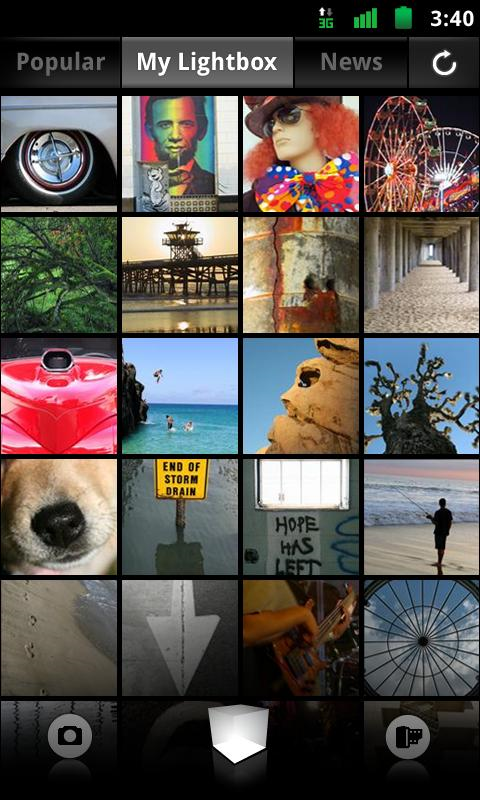 All of your photos are automatically synced to your photowall on Lightbox.com and to your Android tablet. Photo News Feed: Photos that your friends post on Facebook and Twitter are automatically synced to your phone. I absolutely love this concept - it seems like a very thoughtful thing to do if you're traveling, especially with high-quality real-life postcards that cost only $0.99. 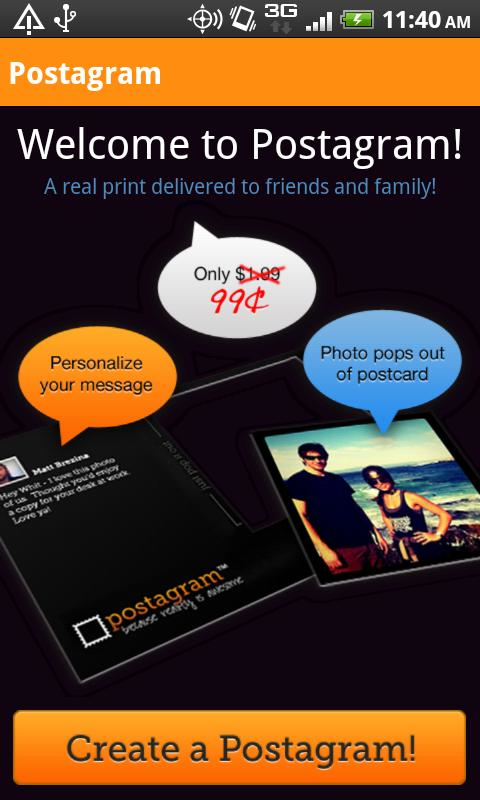 Postagram makes it easy to send a printed photo in the mail to yourself, friends or family anywhere in the world. Take a shot with the app or use photos from your photo library or Facebook. - US delivery takes only 2-5 business days. International delivery, a bit longer. Each Postagram is backed by the Sincerely.com Guarantee: If your Postagram gets lost in the mail, damaged or you are otherwise not happy, we will send another Postagram free or return your money. 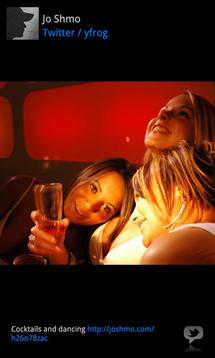 We take full responsibility from the time you click "order" until you are holding a beautiful Postagram in your hand. TeamViewer has been around for a while but was finally added to the Market this week. 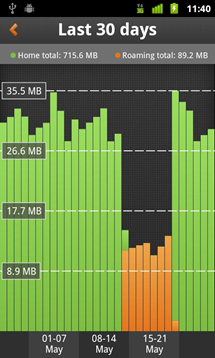 The best looking data usage tracker I've seen on Android. 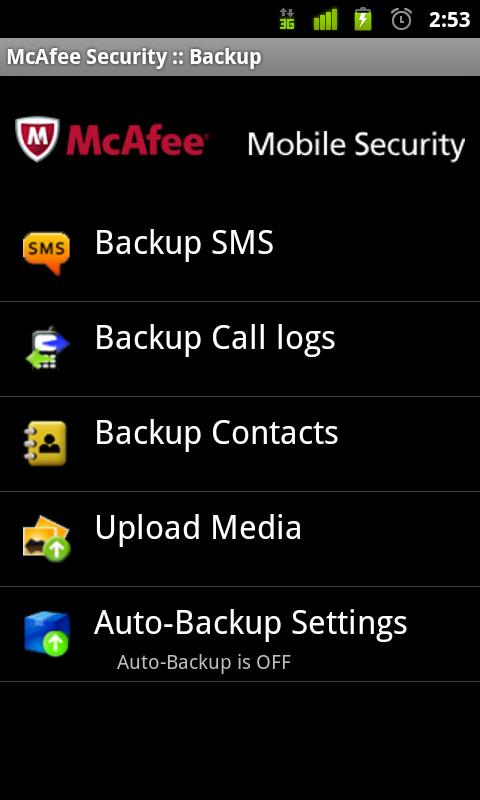 Take control of your mobile data. 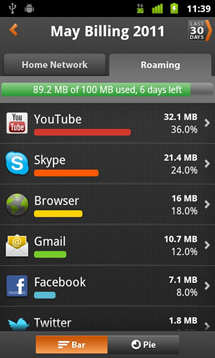 Monitor app data usage for your home and roaming plans. Set usage alarms to manage your bill. 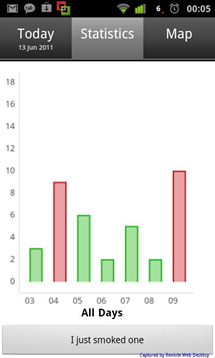 Track historical consumption to ensure you are buying the ideal plan and maximize how you use your data. 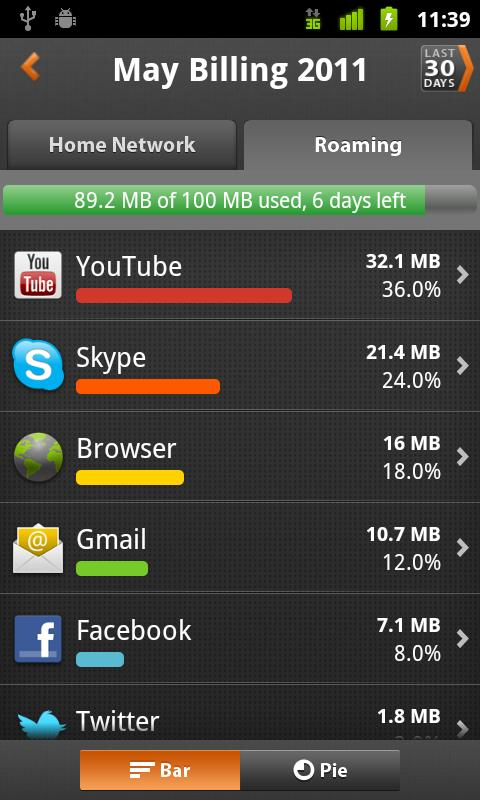 Monitor per app data consumption to understand what apps are consuming the most data, and what apps are almost free. Save money by using your data plans more effectively. 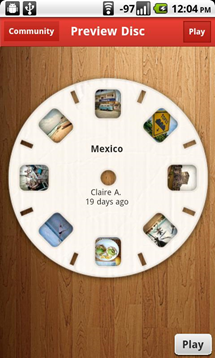 Retrollect lets you assemble the highlights of your experiences and create a visual mash-up of your life. Grab your photos, tweets, or the status updates that give a play-by-play of the night and build your very own Retrollect disc to showcase your experience. 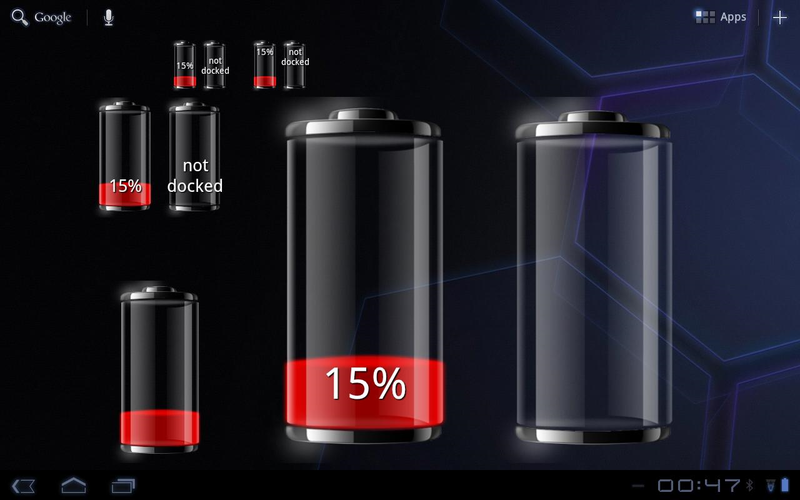 A Battery Widget that displays the status for the internal battery, and the secondary battery in your dock station. 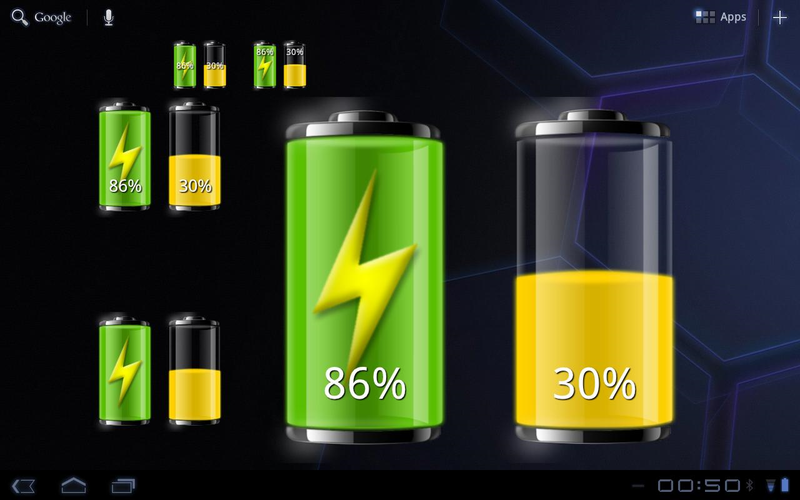 It is mostly intended for the Asus Eee Pad Transformer tablet (which actually has the secondary battery). 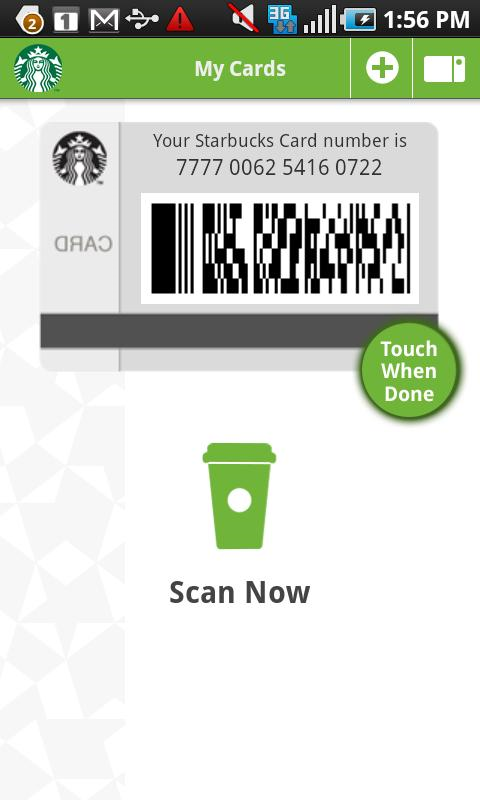 I'm a fan of ESET's NOD32 security app for Windows, so their Android solution has to be good, right? You would think so, though according to some comments, it's quite hard to get rid of once installed (maybe that's a good thing?). If you remember, McAfee scooped up WaveSecure about a year ago and has now integrated it into this all-in-one security solution. McAfee Mobile Security is a powerful combination of McAfee VirusScan Mobile, McAfee WaveSecure, and McAfee SiteAdvisor® for Android. 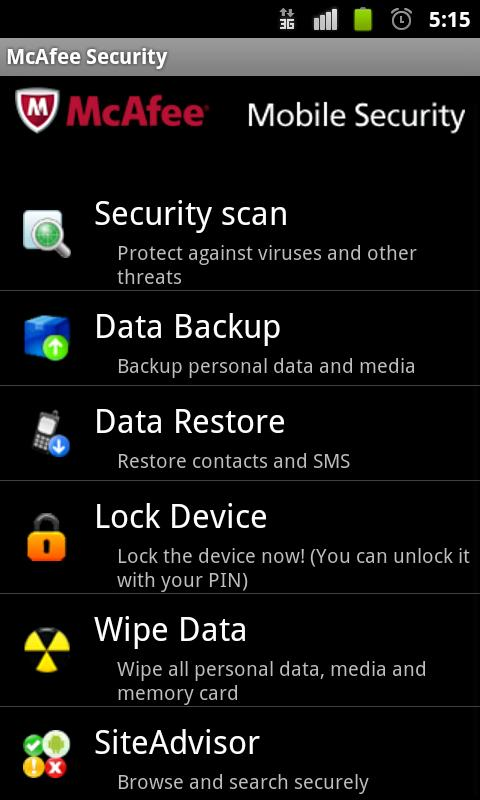 The solution protects your mobile device if it’s lost or stolen, backs up and restores your personal data, safeguards against mobile viruses and spyware, and lets you safely surf the mobile web. 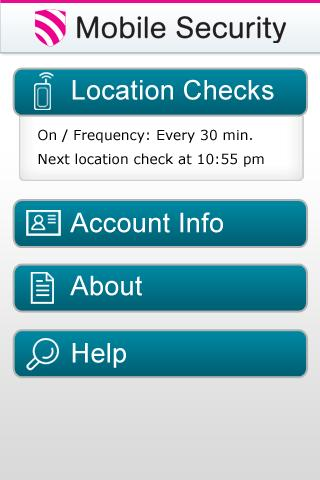 How secure would you feel if you lost your phone? 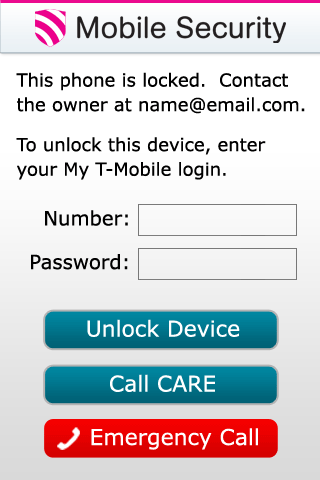 The Mobile Security app, offered to U.S. customers of T-Mobile, gives you peace of mind that your phone and your privacy are protected. With Mobile Security it’s easier than ever to find and secure a lost or misplaced phone. 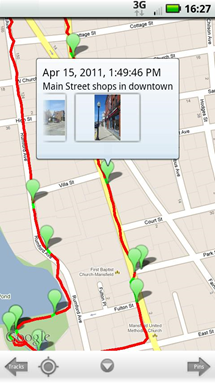 You can locate your phone by commanding it to sound an alarm, or find it on a map. See a visual history of where the phone has been and even get turn-by-turn directions to its location using the phone’s GPS. In the event you can’t find your phone, you can lock it and wipe it to ensure your privacy. You can do all this via a simple web interface or you can get live support from an agent if you don’t have access to a computer. Mobile Security is available to T-Mobile Premium Handset Protection® (PHP) Bundle and Insurance customers at no extra charge. Be sure to enroll in PHP Bundle or PHP Insurance within 14 days of purchasing a new device to receive Mobile Security and comprehensive coverage for loss, theft, and damage. Not enrolled in PHP? 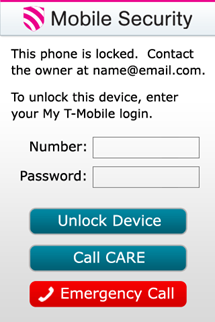 Mobile Security is available to T-Mobile customers as a standalone application for $3.99 per month. A Starbucks Card is the fastest, most convenient way to pay at Starbucks. 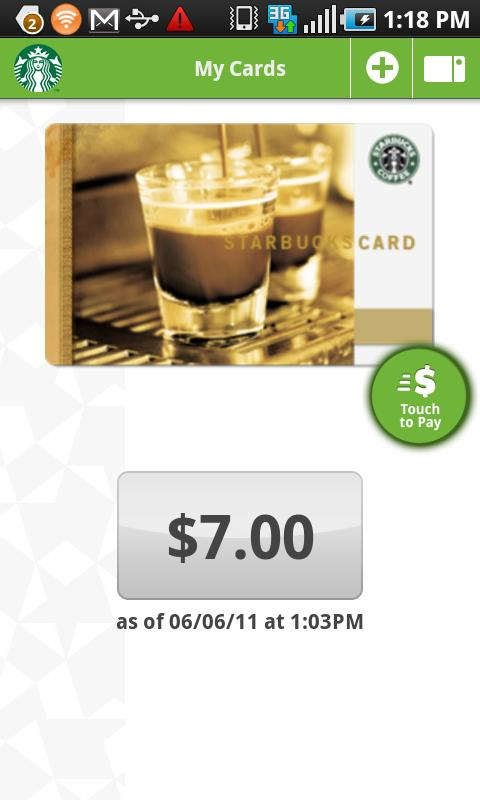 And Starbucks for Android™ is the perfect companion to your card. 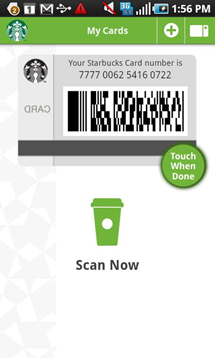 Your Android™ phone will display a barcode that you use just like your card to make purchases at Starbucks. 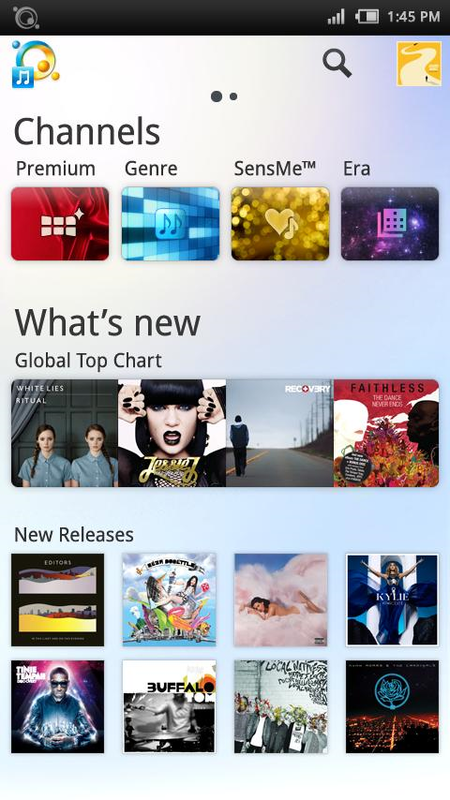 Sony's official music app, powered by Qriocity. 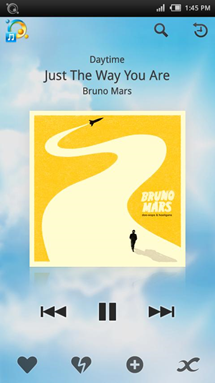 Get 30 days free with access to over 7 million songs. Listen to millions of songs anytime, anywhere with the Music Unlimited Android App. Note: Subscription to either the Basic or Premium plan is required. To try 30 Days Premium Plan for free(for New Customer Only), visit https://music.qriocity.com from your PC. 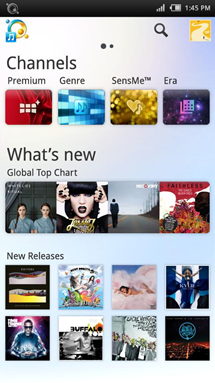 With the Basic plan, you can access personalized channels that adapt to your music tastes and your mood and enjoy the songs in your personal library that have been previously synched from your PC. The Premium plan offers all the features of the Basic Plan, plus full access to our entire catalogue and premium streaming channels. Official Livescore Android app (LiveScore.com seems to be a ridiculously popular sports score tracker). 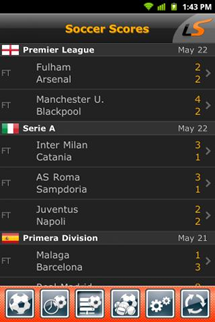 Live scores directly from the source, the 1st live score service on the Internet, powered by LiveScore.com since 1998. In addition to soccer, we'll be soon releasing tennis, basketball, hockey & cricket live scores. This app is so gorgeous, I included twice as many screenshots. 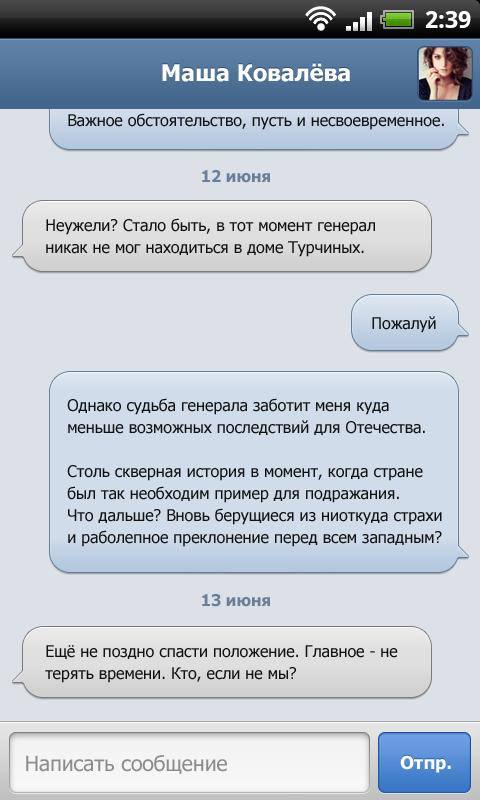 Pay attention, developers - this is one fine homo sAPPiens. Whether you are just going about your normal daily routine, taking a hike with the dog, or going on a long trip, use FollowMe to track where you’ve been and what you’ve seen. 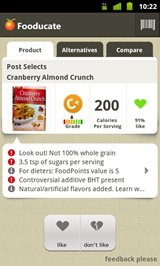 Then, if you want, you can easily share the organized highlights with friends and family. Simply start a track at the beginning of your adventure, and let the app run in the background while you use your phone normally throughout the day. Whenever you want to capture what you are doing, use FollowMe to take pictures, videos, and/or make notes. At the end of your adventure, you’ll have a track marked with pins to illustrate all the highlights from along the way. 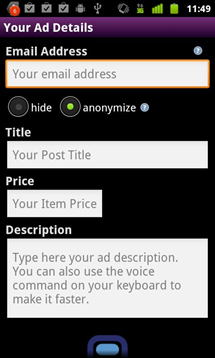 This is a simple Android application which detects other installed applications which appear to use the AirPush ad framework and offers the user the ability to easily uninstall them. Hate Airpush ads? 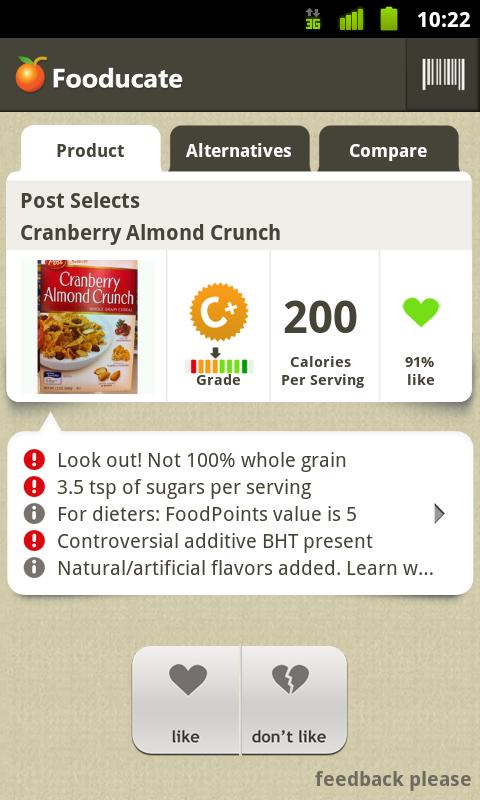 Use this app, provided by Airpush itself, to opt out of them altogether. 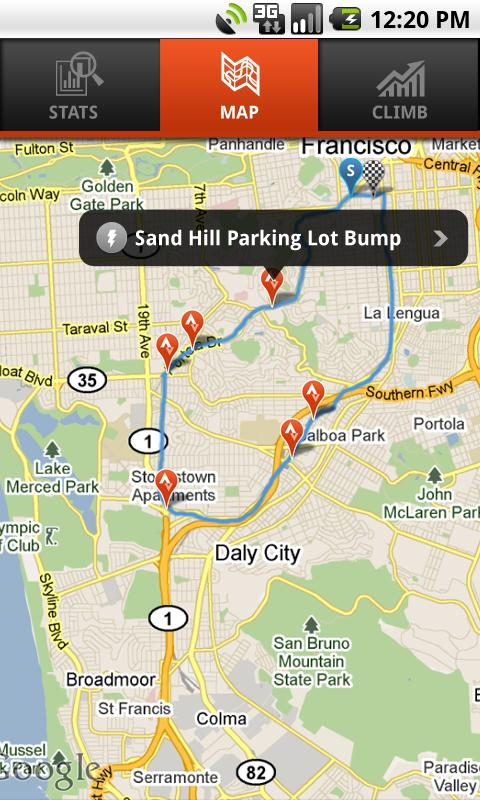 Strava™ is the new social training app for avid cyclists. 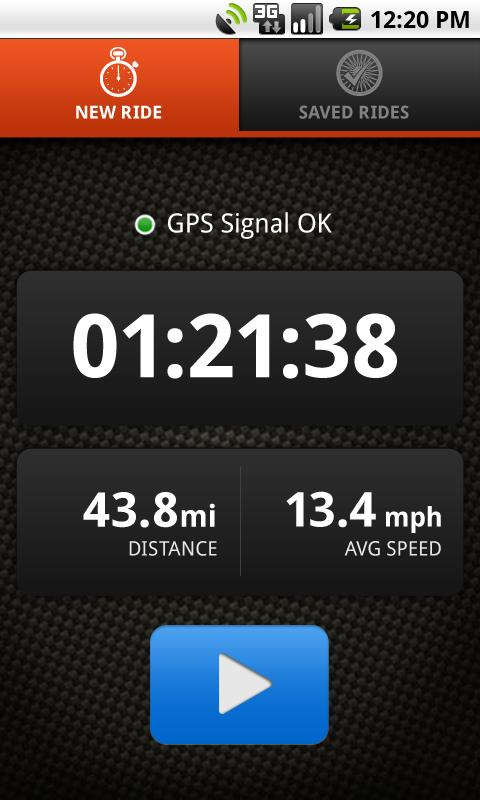 Use it to log and analyze your rides and compete and compare with friends. 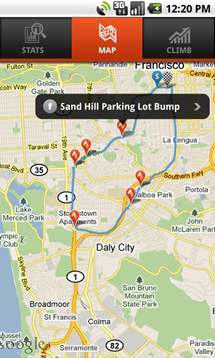 – Record your bike rides, view maps and analyze ride data. 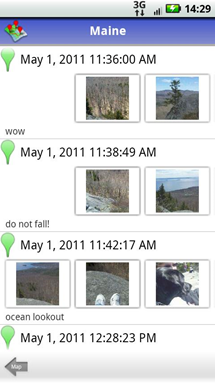 – Compete for King and Queen of the Mountain honors on auto-detected climbs. – Motivate yourself to ride further and faster, and move higher on the leaderboards. – Instantly upload your rides to the Strava.com community, where you can track your performance, enter events, and join clubs. 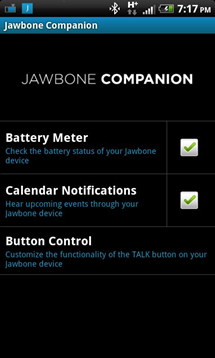 Jawbone Companion (beta) is a useful new app that helps you stay on top of your schedule, battery life, and calls—all handsfree using your Jawbone headset. 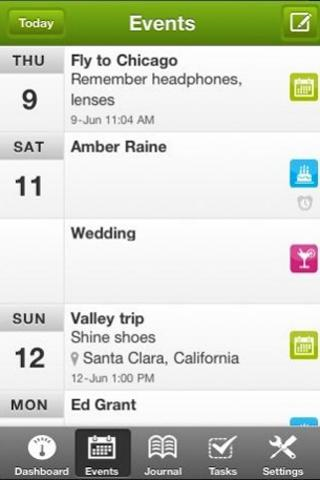 Calendar Alerts: Companion whispers through your headset and reminds you about upcoming meetings and events when they're starting; it will even dial you into conference calls at the press of a button, passcode and all. 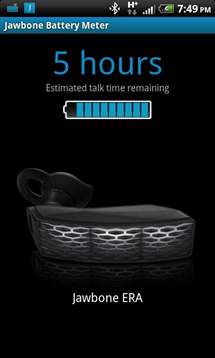 Battery Meter: Convenient Jawbone battery indicator appears on your phone keeps you informed; at a glance, you'll always know how much battery life you have left. 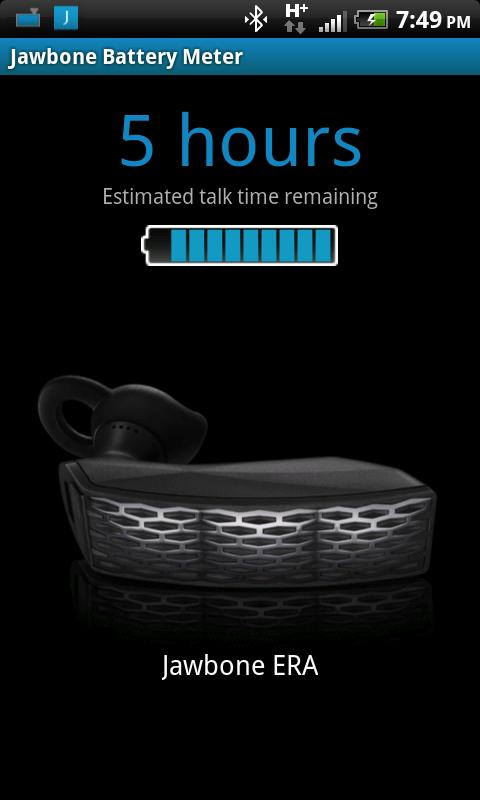 Instant Info: Press the TALK button on your headset to hear upcoming events, remaining battery life, and the current time. 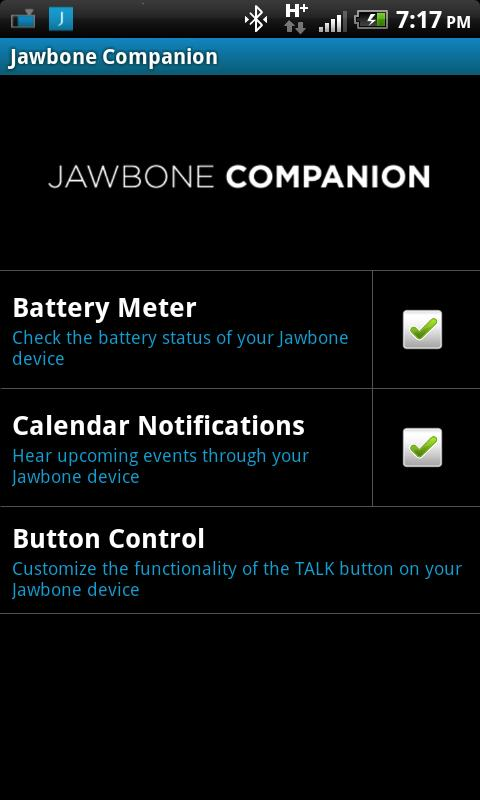 Jawbone Companion currently supports Jawbone ERA and ICON. The Purina Petometer allows you to keep you and your dog in great shape as you take your dog to exciting walking locations. 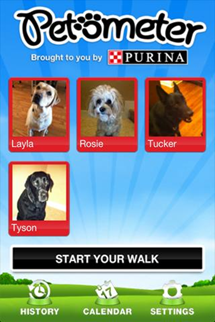 The Petometer lets you create a Pet Profile and upload a photo of your dog. 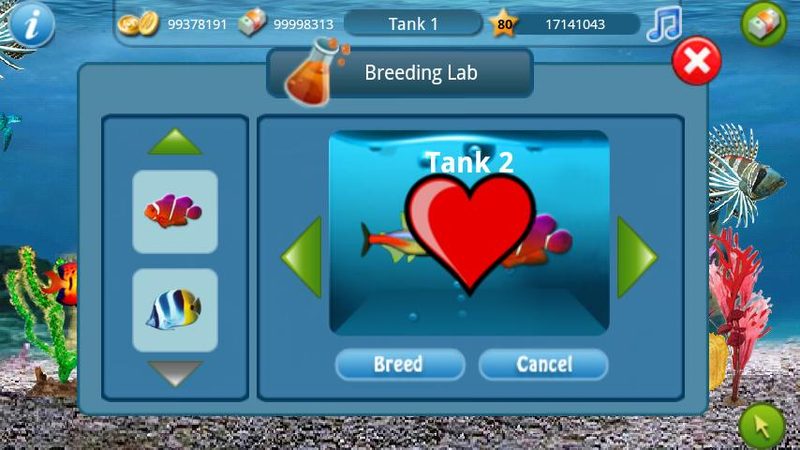 Once the Pet Profile is created, take your furry friend for a walk and begin your exciting voyage! You can track your walk and get alerted when the tracking starts and stops. 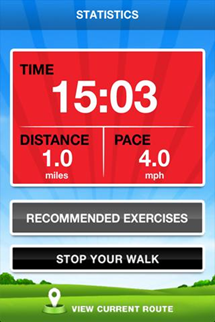 You can even view a history of your walks, set reminders of when to take your dog out again, view a list of recommended exercises for your dog and share your walk with your friends. 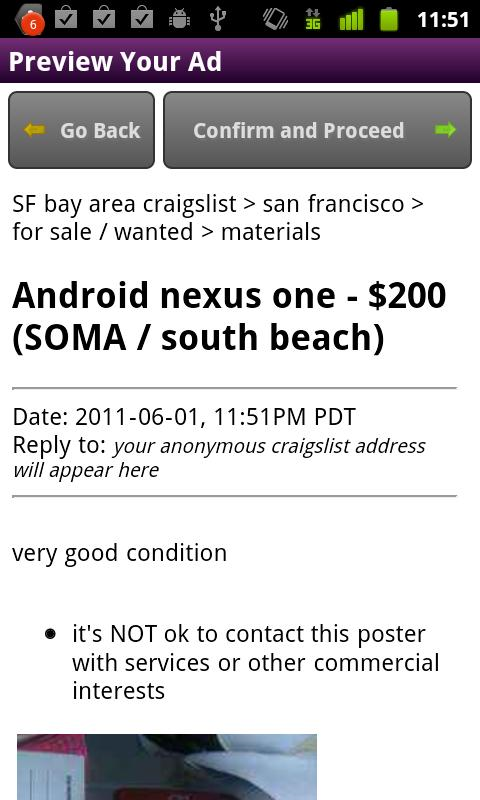 From the creator of the extremely popular unofficial Craigslist app (formerly Craigsnotifica). 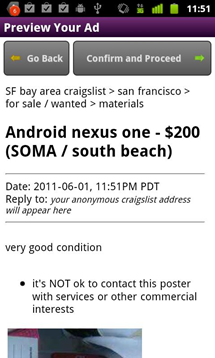 Sell your stuff on craigslist without registration or logging in. Quick and painless. 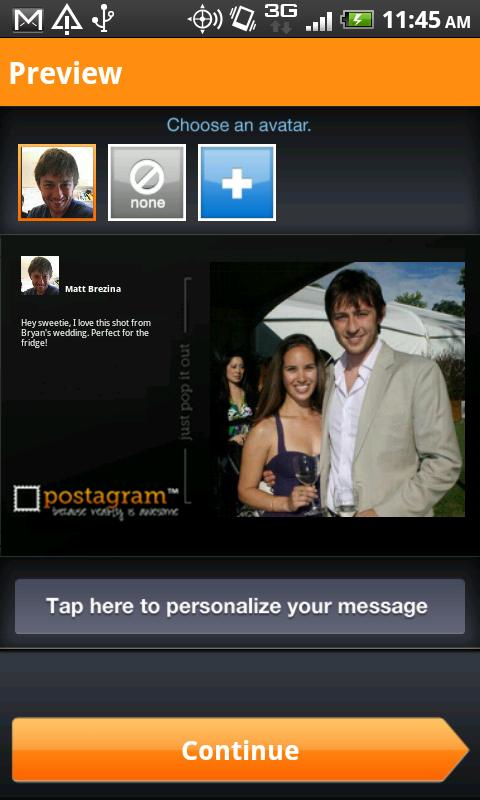 This is the first beta of CraigsPost. Please be patient and I will implement all the features you ask. Right now we support items for sale, personals, item wanted, community, event, gig offered, service offered, housing offered, housing wanted and resume/job wanted. We're investigating jobs and full housing. 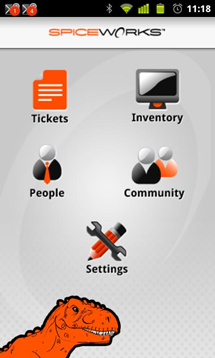 Take your IT network, tickets and users with you wherever you go! With Spiceworks Mobile, Spiceworks users have the info they need to do their IT jobs – at their fingertips. 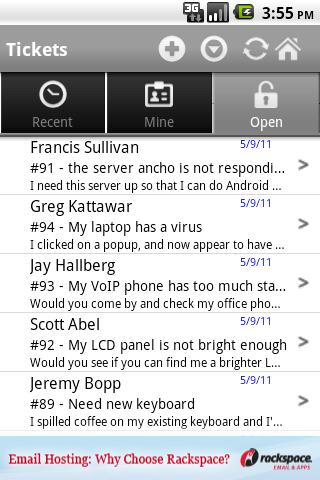 See devices, work tickets, access user info, read IT discussions, and more. LiveATC for Android provides a quick and easy way to listen in on live conversations between pilots and air traffic controllers near many airports around the world. Stuck in the airport terminal with endless delays? Live near an airport and want to find out what's going on? 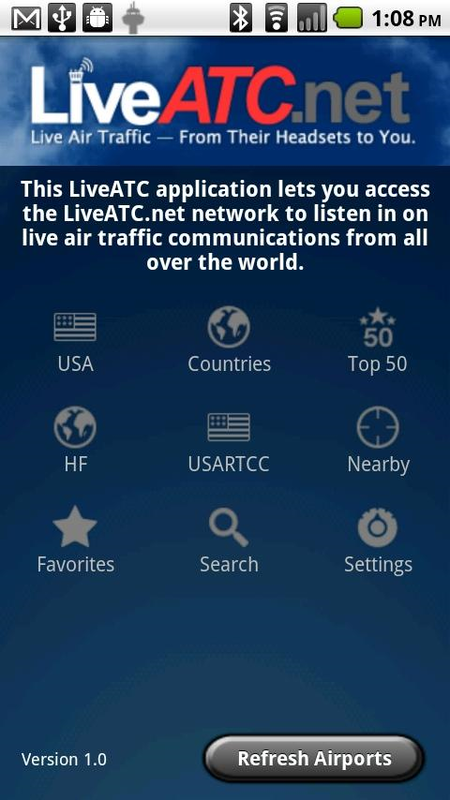 Have you always wondered what pilots talk to air traffic controllers about? 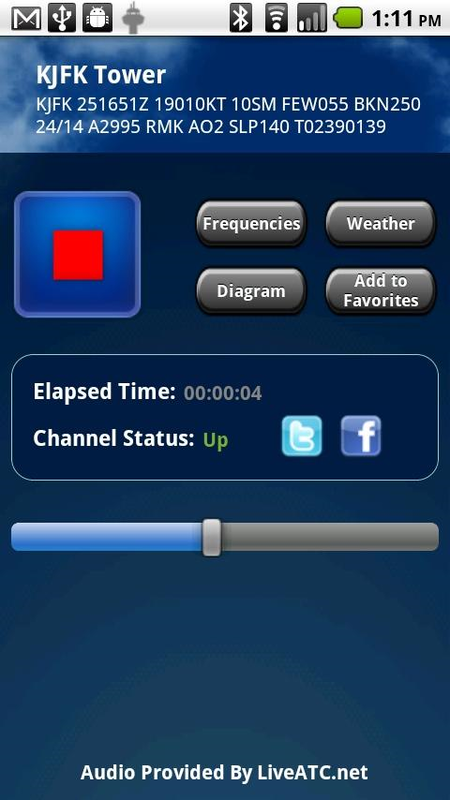 Now you can stop wondering and tune in live. 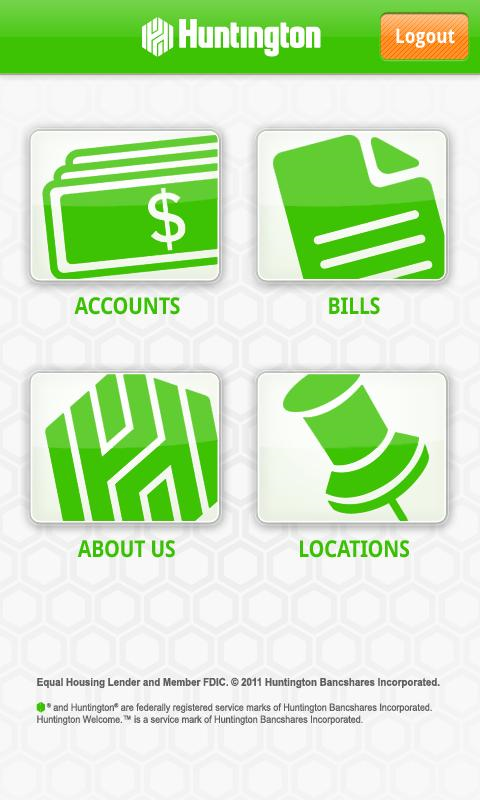 The Huntington Bank Mobile App is here. 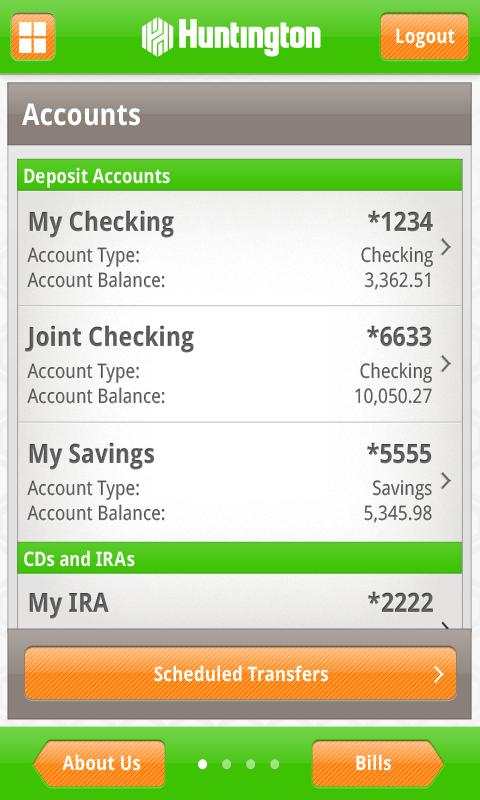 Which means it is easier than ever to bank on the go, right from your phone. 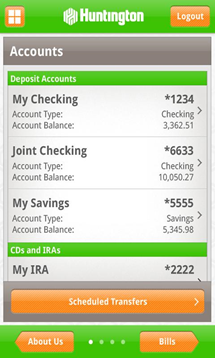 Download and you’ll be able to view account balances and history, transfer funds, pay bills, locate office branches, find ATMs, and contact a representative. 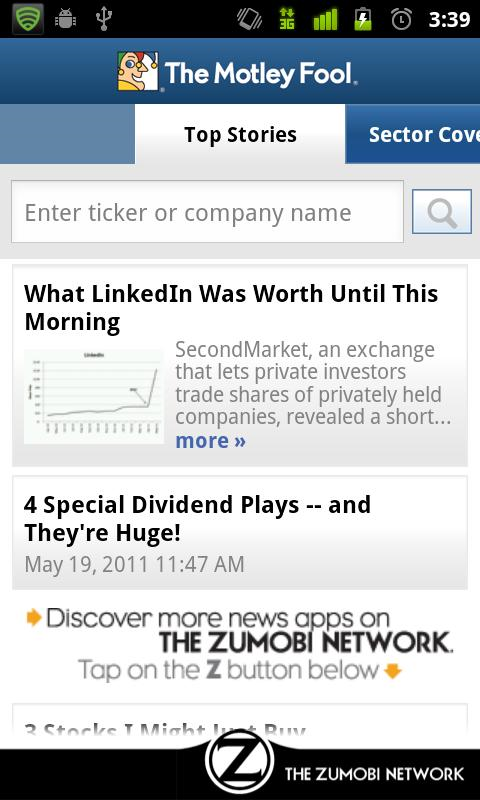 The official Motley Fool app. 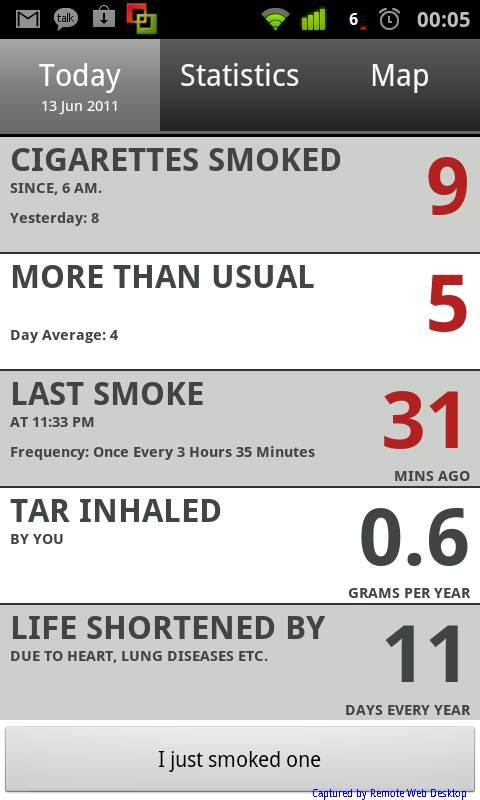 Ciggie may help you quit smoking or at least track your smoking habits and see just how fast you're killing yourself. 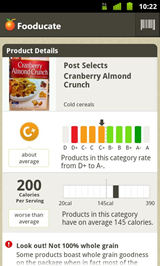 This application makes you more conscious about your cigarette smoking habit, and helps you reduce your tobacco consumption, or even quit smoking. 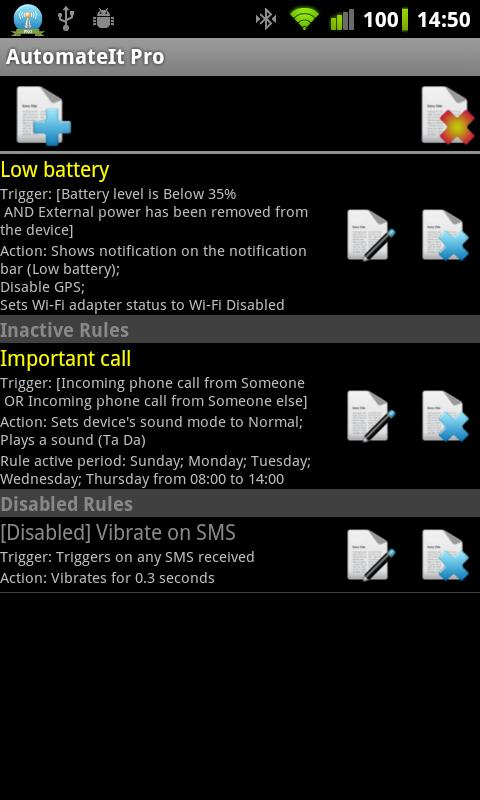 Just tell us every time you smoke by pressing the button in the application or on the Home Screen widget. 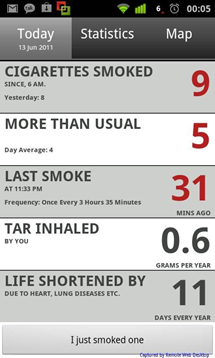 * Interesting visualizations to indicate how your pattern is in a day/week, or where you smoke the most. Xperia Play owners may appreciate this. This app is a modification of Google's stock camera app. I have fixed some small menu positioning issues, increased font size, and have enabled the R button on the Xperia Play as the shutter button for taking photos and recording videos and the L button to act as focus in photo mode. This application can be discussed at the XDA forums. 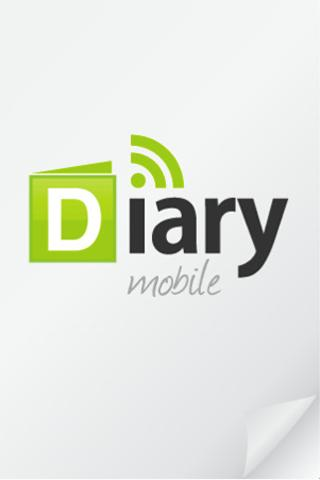 Useful for those who already use Diary.com or just want to start a mobile diary that syncs to the web. Diary Mobile makes it easier to remember, organize and plan your life. VK.com, the most popular Russian social network (yeah, the one that completely cloned Facebook) now has its own native Android client. 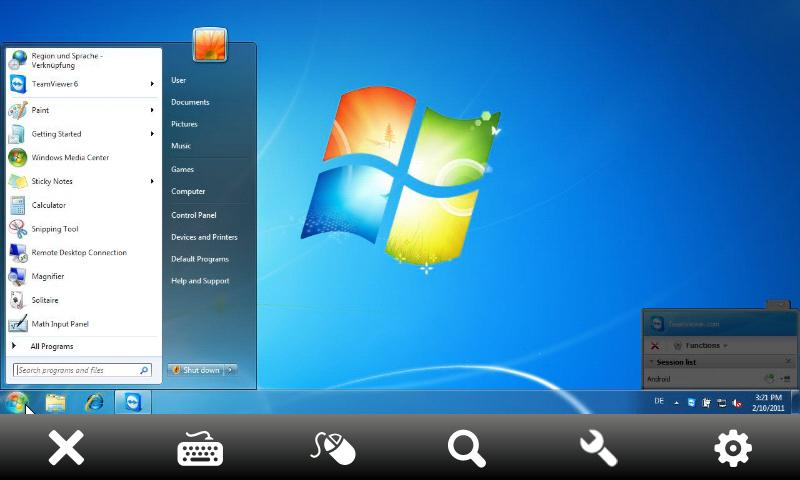 Fastest and smartest tablet browser designed specifically for your 10" tablet. 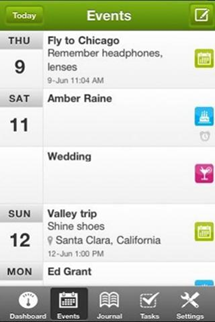 Sync to the Cloud - Your bookmarks/favorites travel with you from desktop to mobile. Speed Dial - Quick access of the best sites on the web. 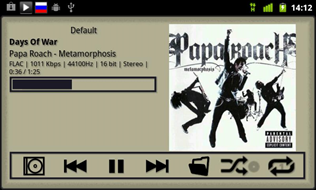 Download Manager - Makes it easy to sort, schedule and grab the downloads you need: wherever, whenever. 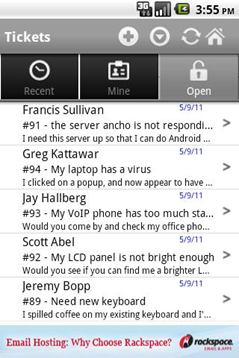 Super Gesture - Use touch screen commands to surf with your fingertips. 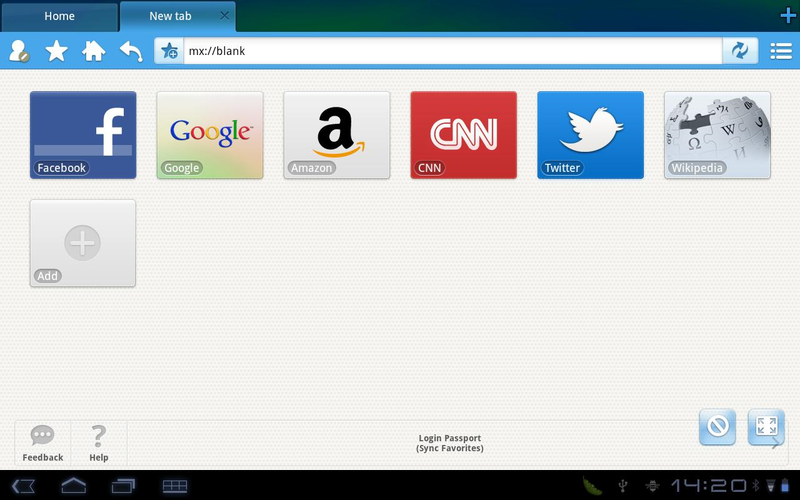 Tab browsing - Powerful tab management that puts your mobile screen to maximum use. Amazing speed - Get websites super fast. Powerful personalization - Avatars and more. No. 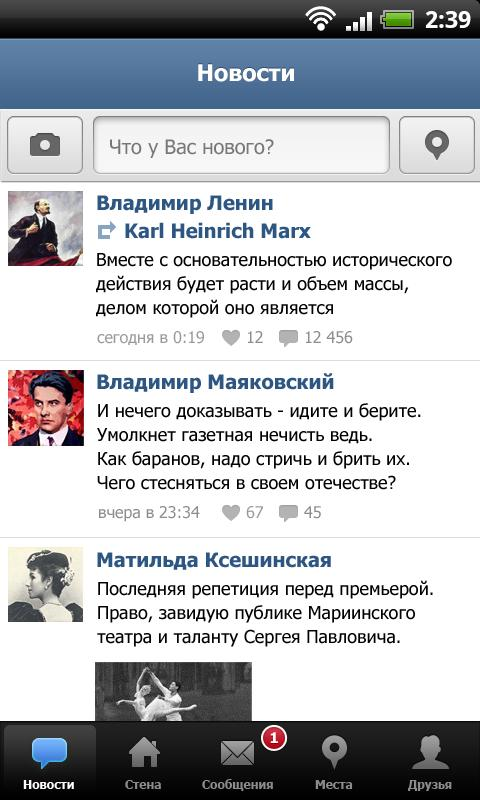 Comment. 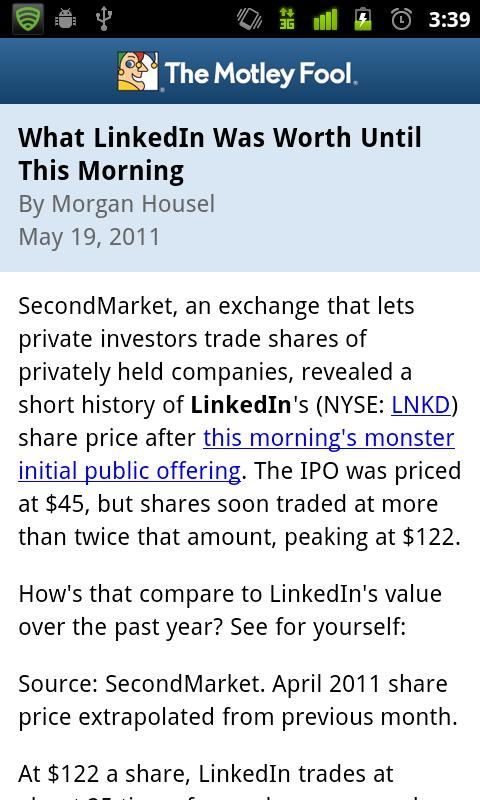 Just see the Market description and weep. Likewise, I opted in to skip screenshots here for NSFW reasons. The app's description cracks me up every time, even 2 weeks later. So good on so many levels. It's the survival of the fittest. 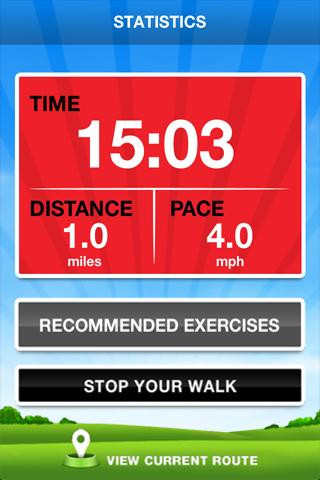 Today is the best day ever to start jogging for free! 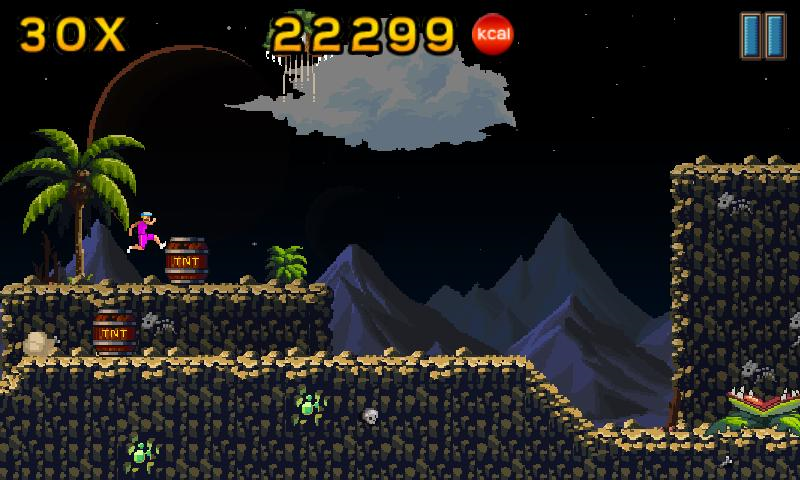 In Grim Joggers Freestyle the player leads a group of 15 joggers as far as possible before all of them face a gruesome end. 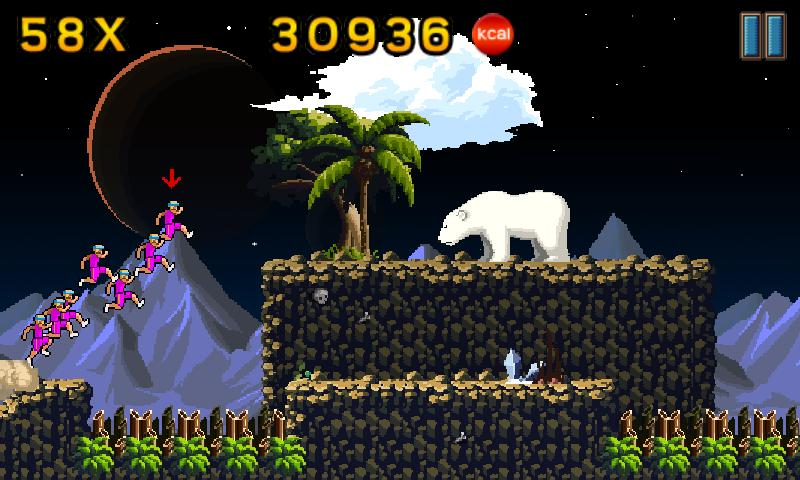 It's an arcade-style survival game with online leaderboards and achievements. It's jogging become bloodsport! Grim Joggers Freestyle is designed for Android 2.3 devices. • FREE extreme jogging experience!